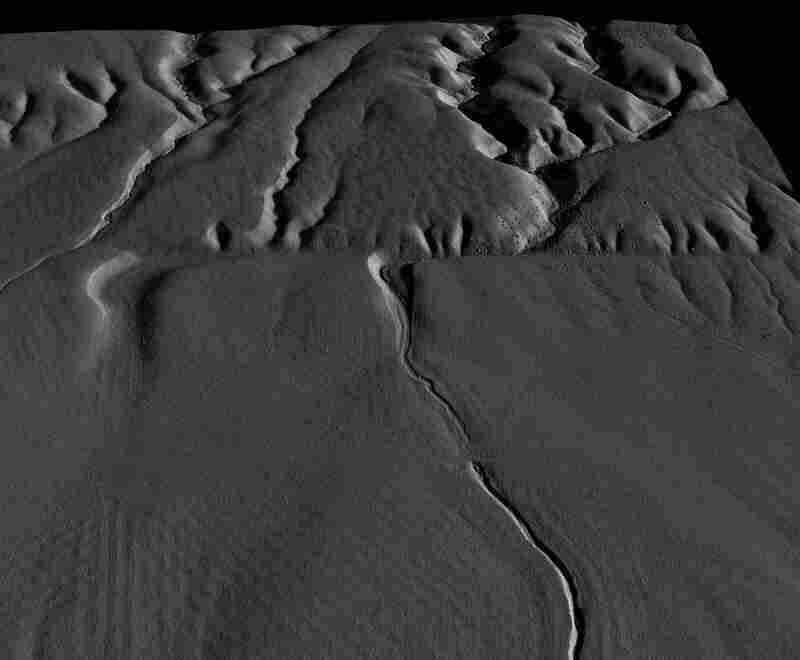 Wallace Creek, San Andreas fault in the Carrizo Plain – B4 Project LiDar 0.25 m DEM (Image courtesy: Dr. Kenneth Hudnut). Click here for more information on this project that was presented at the March Inland Empire Chapter meeting. All of these are geared towards getting 1 m DEM's readily available through Google Earth, so as of now, the KMZ set is only at one meter. In the future we hope to make the whole data set available this way at higher resolution, but even at 1 m it seems to bog down Google Earth a bit. So I would only try loading in one segment at a time on anything but a new superfast computer. There is a uniform set of 0.5 m DEM's available here for most of the B4 project, and these are also avail. via the USGS "CLICK" interface.